Ascending Butterfly: How has this Mercury Retrograde Wreaked Havoc on YOUR life so far? How has this Mercury Retrograde Wreaked Havoc on YOUR life so far? Great Advice from Spiritual Spew - Practicing Patience and the art of 'non-reaction' is still something I am working on! 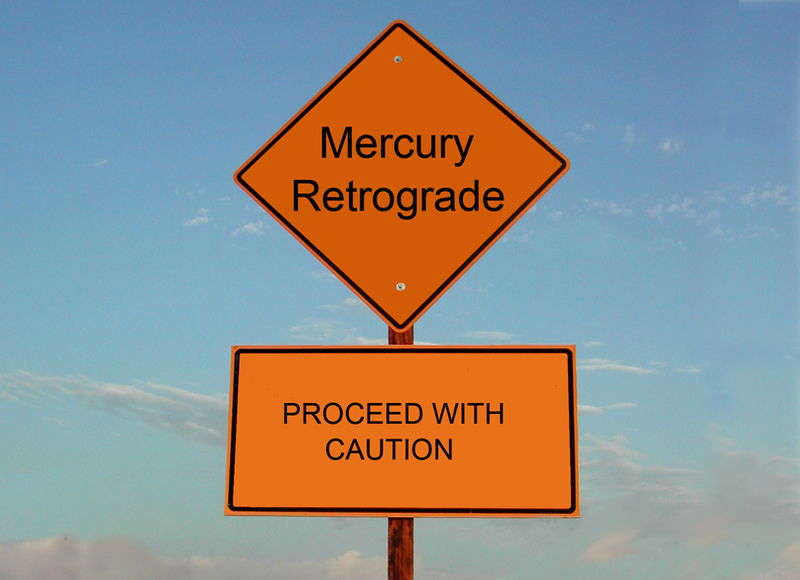 For those of you who are not clear what a Mercury Retrograde means, it is when the Planet Mercury slows down and appears to 'stop' (or station) and move 'backwards' (retrograde), this happens three to four times per year. I found the graphic I used above via websearch on a blog called Spiritual Spew, you should check out the original article this photo is attributed to HERE. And no, I don't know her and this is NOT a sponsored post or plug in any way for anyone, just real talk. Interesting also to note, a lost idea or person can come back into your life, sometimes someone with a mysterious 'pull' on your psyche. We are to draw hope that this retro back in air signs (those born under the zodiac signs of Libra, Aquarius and Gemini) is allowing us to take a mental review of our mind and it's patterns and what conclusion we draw from our experiences. The positive of this particular retrograde is that it is supposed to be allowing us to see our past from a different angle or perspective. Great Advice from the folks at Illuminating Souls! I personally don't remember any retrograde period that I have seen referenced so much as I have this one. Apparently this one is hitting many hard. For me so far, people from my past have in fact re-surfaced, people who were absolute back-stabbers and sneaky snakes who took way more from my time and energy than they ever added to it and I have refused to re-connect with any of them on any level. At the end of the day a Mercury Retrograde is also considered a time of 'fated' events. I for one, feel very much like I am at a crossroads in my life. Personally, Professionally, and Spiritually. I feel this retrograde while almost nearing its completion, will reveal a lot more. This is the last retro for 2014, a fact for which I for one am very much grateful! 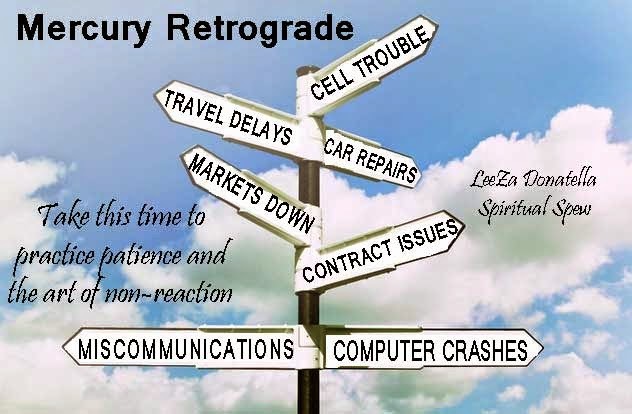 Take note of any major themes that occur for you during this retrograde period. If you are prone to keeping a journal, this time period will probably offer you some very interesting reads when you look back at this time in your life! Butterflies how has this Mercury Retrograde Period affected your life? Well I don't know if it's Mercury Retrograde but in my life there has been a lot of self doubt(I thought I killed that demon along time ago) the good thing is I have learned is that now I'm better able to deal with it !!! !